If you enjoy saving money while receiving excellent automotive maintenance, you'll want to check our dealership's service specials often. The information changes frequently, so loyal customers gain impressive advantages by bookmarking the website! Today, most people in New Jersey appreciate the importance of regular, professional automotive tire rotation services. This routine maintenance task helps ensure treads wear evenly. It maximizes the useful lifespan of your vehicle's tires. 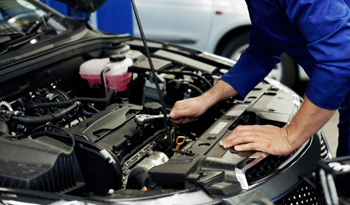 Additionally, asking a skilled mechanic to perform this procedure saves valuable time and energy. Your local Mercedes-Benz dealership possesses the specialized equipment and tools to rotate tires quickly and easily. Most amateurs cannot complete tire rotation without a lot of effort! By making sure you ask us to rotate your vehicle's tires soon, you'll gain greater peace of mind driving during cold, winter conditions. The next time it rains or sleets, you won't wonder whether your tires appear capable of withstanding the adverse weather. Changing a flat tire beside the road during a storm remains a very unpleasant prospect for most people. It makes a lot more sense to take the initiative and schedule regular tire rotation services before unpleasant weather conditions arrive. 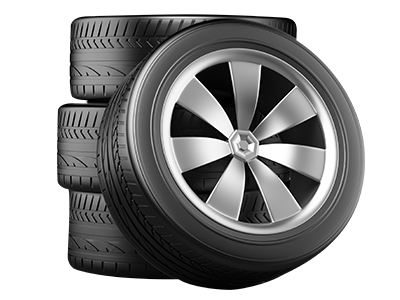 You'll obtain another big advantage by calling now to request our tire rotation services. Did you know your local Mercedes-Benz dealership uses the skills of Certified Automotive Technicians? All of the people responsible for inspecting and rotating your vehicle's tires possess experience in the automotive field. We work on all makes and models! When we perform tire rotations, we use this opportunity to take a close look at the overall condition of the tires. We'll let you know if we discover any potential problems developing. You'll leave the dealership with greater peace of mind, confident your tires appear in sound working condition! While no one can prevent every flat tire, of course, completing regular routine maintenance tasks such as tire rotation reduces the chances of developing unexpected tire problems. Knowing your vehicle's tires appear in good shape to face rugged New Jersey winter driving conditions should enhance your driving enjoyment this fall! Yet another benefit of bringing your vehicle into your local dealership soon to receive tire rotation services relates to our rigorous original equipment manufacturer parts policies. We won't install replacement parts in your automobile unless the components meet this exacting requirement. When you depend upon an exclusively OEM inventory, you'll enjoy the assurance of knowing all intallations fit your automotive make and model exactly. Using OEM parts helps skilled Certified Automotive Mechanics predict the expected lifespan of a replacement part more effectively, because manufacturers have compiled this information. Customers ultimately benefit from this situation. By relying on original equipment manufacturer parts instead of aftermarket parts, we deliver the best possible quality of automotive repairs! Call us soon to request tire inspection and rotation services before cold weather arrives!